Well I did it! First time juice and soup cleanse is in the books. I will admit, it was a bit hard wrapping my mind around doing a cleanse in the first place. 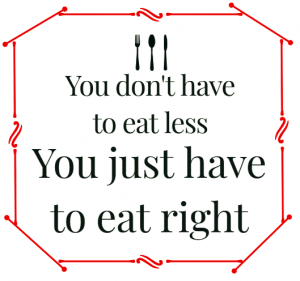 I eat pretty wholesome – adhering to little or no oiland lots of fresh salads. There are many reasons one does a cleanse and while I am not an expert on this subject – some reasons might be to ‘reset’ the body, detox from sugar or jumpstart a healthy weightloss plan. My reason when I first purchased it was just to feel better. I had been sick a few times over the winter and thought if I could cleanse all the ‘toxins’ from my body, I would feel better overall. As I thought more about it, though, it just became a challenge to see if I could do it! AND I DID IT! And my husband did a cleanse at the same time too – although I did not purchase his from Juice from the Raw like my cleanse – we just made his up…with some healthy juices from the store and these soups from the Awesome Green. So again the reasons I did it were to cleanse toxins from my body and because I was looking for a new challenge! 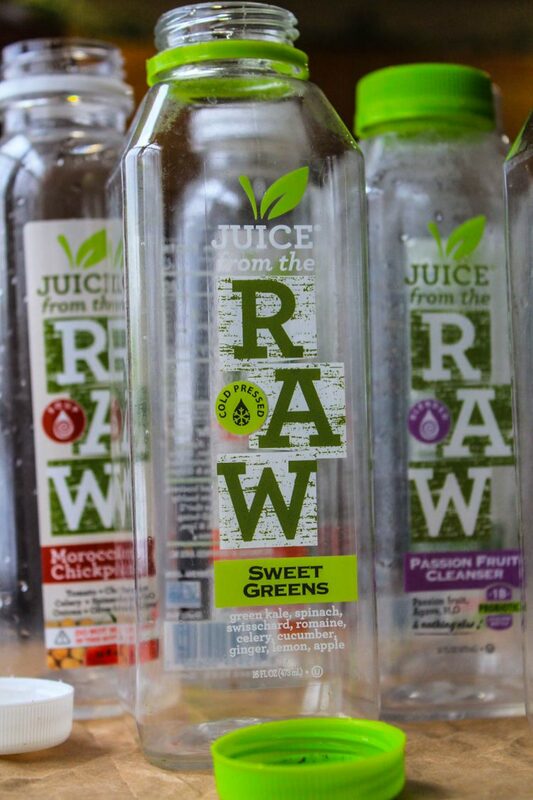 Why Juice from the Raw? Really when it came down to it – it was the pricing! They had a great deal on their website that included free shipping. The reviews were overall pretty positive as well. Plus I really loved that this cleanse was only 3 days and included soup. A 3day juice and soup cleanse. I loved the addition of soup, as I knew it would still be cold in Michigan when I completed by cleanse and drinking cold juices for multiple days in a row…well that just seemed COLD to me. Other cleanses I investigated included Jus by Julie and Raw Generation. Was Doing a Cleanse Easy? The ordering part was easy! Wrapping my mind around actually doing a cleanse was harder than I thought! I love routine (sigh). I eat the same things every day. I have my coffee the same way every day. I drink the same drinks. SO giving my routine up for 3 days gave me a little anxiety. 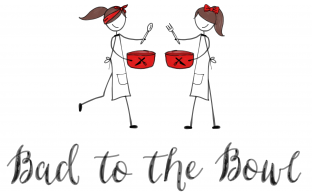 So I did what any wife would do…I talked my husband into doing a cleanse too. There is strength in numbers. My husband almost backed out of doing it at the last minutes – but ultimately I won him over with my ‘big talk’ of how we were turning our clocks to spring…and starting fresh and clean in a new season would feel so great! Oh yes, I pulled out all the inspirational talking points I could think of! How Did you Feel During the 3 day Juice and Soup Cleanse? Here is how I felt during our 3 day juice and soup cleanse. Day 1: Started off with the first drink called Detox Greens. At first sip, not too bad. By last sips, I was somewhat gagging. Not sure if it was the dandelion in the juice, but something was pretty unpleasant tasting. BUT I finished it, because I am a good rule follower. The first soup Moroccan Chickpea was actually really good! Next was the passion fruit cleanser – which was a bit sweet for my taste but I drank it anyway. Cream of Broccoli soup did not look appetizing but tasted fabulous. Sweet Greens again I choked this down…thinking I wasn’t sure I liked drinking my salads. Ended the night with Turmeric Carrot Soup – this was very turmeric tasting. Did I feel hungry? On Day 1 I think my body still had fuel from the day before, so I didn’t feel like I was super hungry or missing out on food. Day 2: Woke up pretty hungry, but still managed to get a small workout in. I decided to blend up my Detox Greens with two frozen watermelon chunks to see if it would taste better… it did not. But the foam from blending it up, tasted decent, so I drank it all down. The rest of the day, I followed the plan of juice and soups to the ‘t’. I did break down late afternoon and have a handful of nuts and some raw veggies. I was super hungry by the time I went to bed! Day 3: Felt pretty weak when I woke up, but powered through a workout and getting kids to school. I kept very busy with client calls and a trip to my kids class to help out, so that helped not to focus on eating. I was super super hungry at night though but stuck to the plan! And I decided by day 3 that the sweet green juice was actually pretty good! On day 3, I was really hungry by bedtime – which I thought would make me not sleep good but I actually slept really good! To note: I did drink black coffee during my cleanse and chew gum. I did not want to experience headaches and I am on a sinus medicine that drys my mouth out. Did I Experience any After Cleanse Effects? During the cleanse, I did feel a bit ‘stopped’ up (i.e. constipated). Which was weird since I thought the point of a cleanse was to ‘cleanse’ the liver. The day after though…that is when my stomach started hurting. I was so excited to eat real food, but in retrospect I should’ve taken it a bit easier with light foods and soup. I did have some adult acne appear too – but after reading some articles on cleansing, I read this was pretty normal when you detoxify the liver. Overall though – I felt such great mental clarity on Thursday morning! And I wasn’t as hungry as I thought I would be. So who knows? Maybe another 3 day cleanse is in my future…or maybe even a 5 day cleanse! Have you done a cleanse? I would love to know, send us a message or drop us a note on social media.